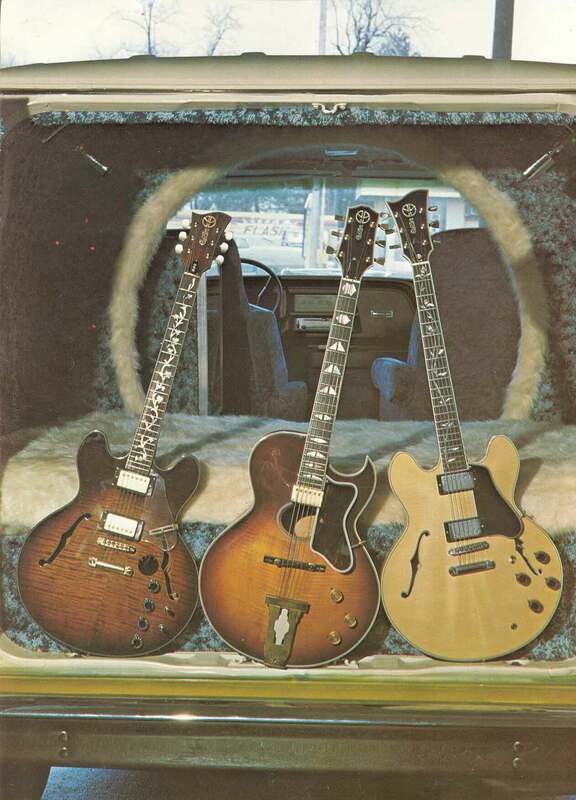 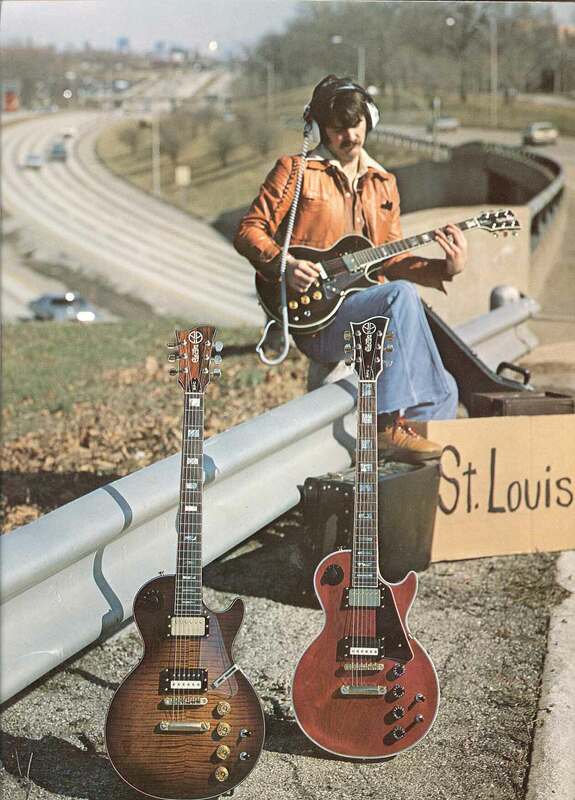 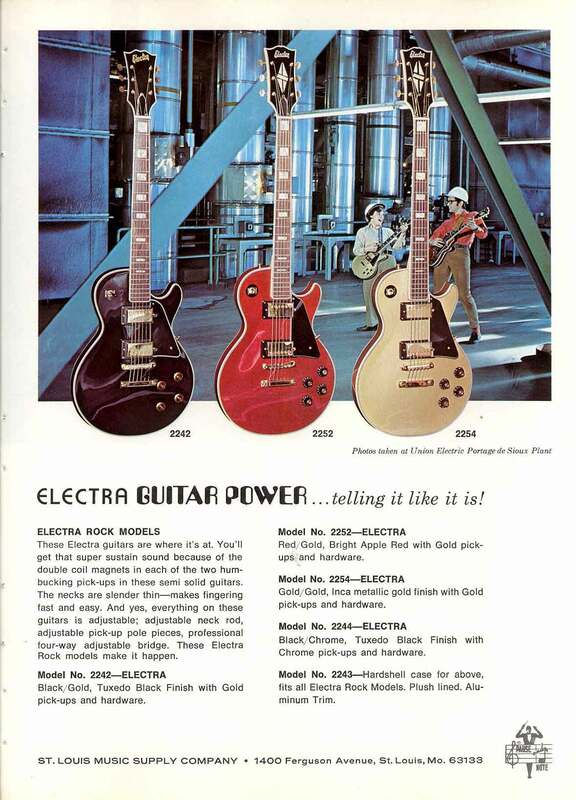 1981 brought the introduction of the all-new Electra Phoenix models, as well as the new Ultima, Invicta, Powered EQ and Workingman models. 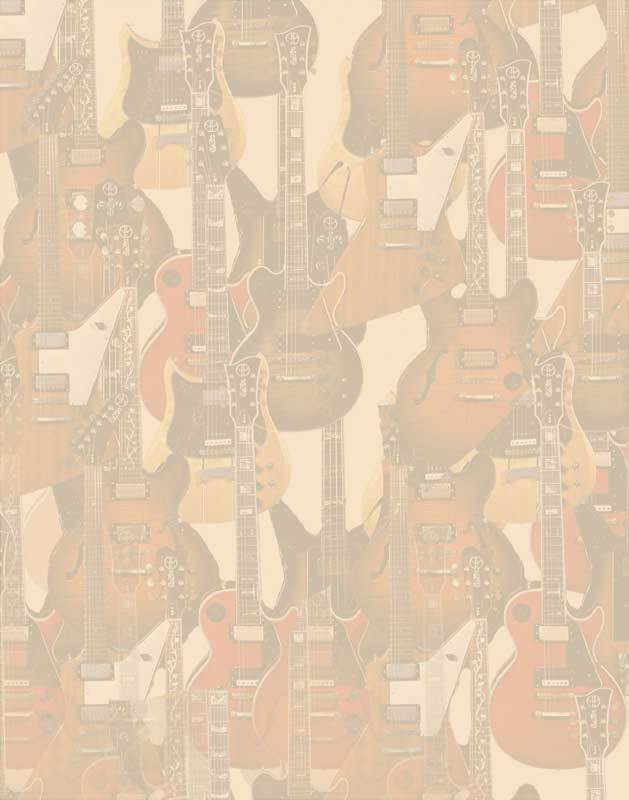 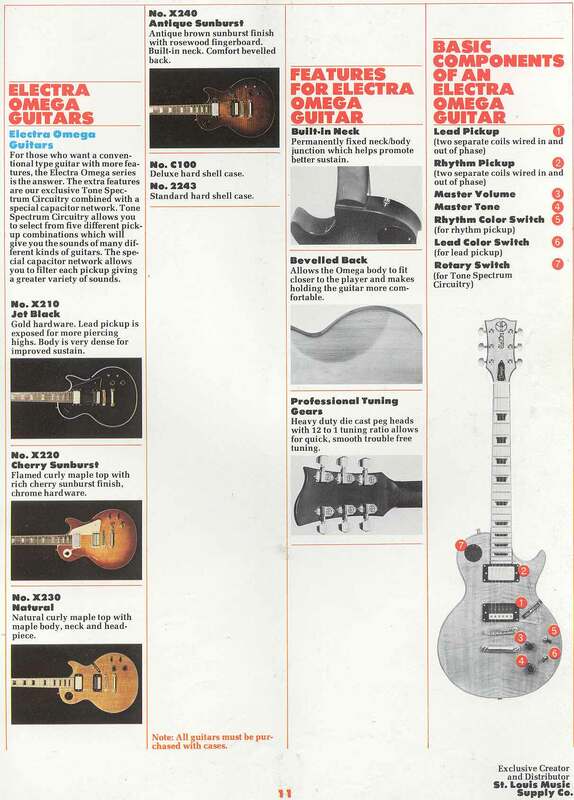 All were original designs by Tom Presley featuring a powerful range of wiring and tonal options. 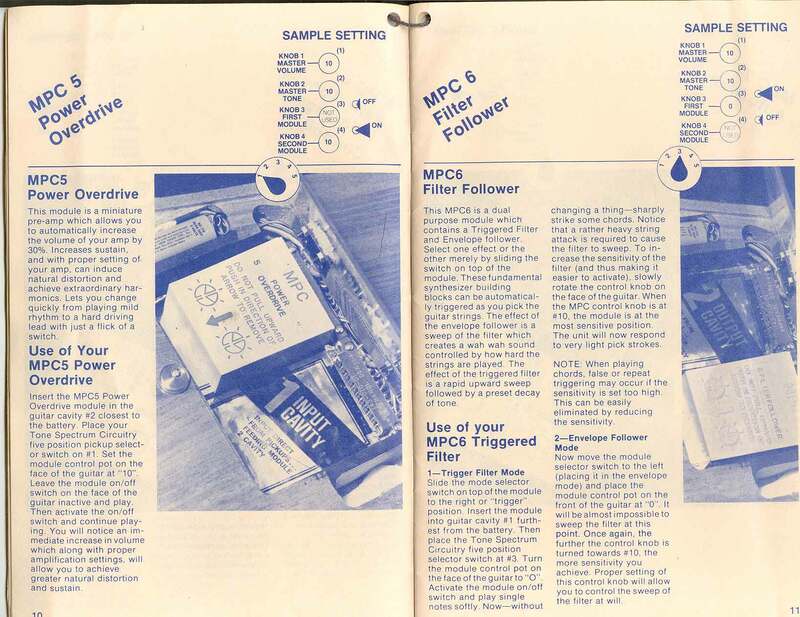 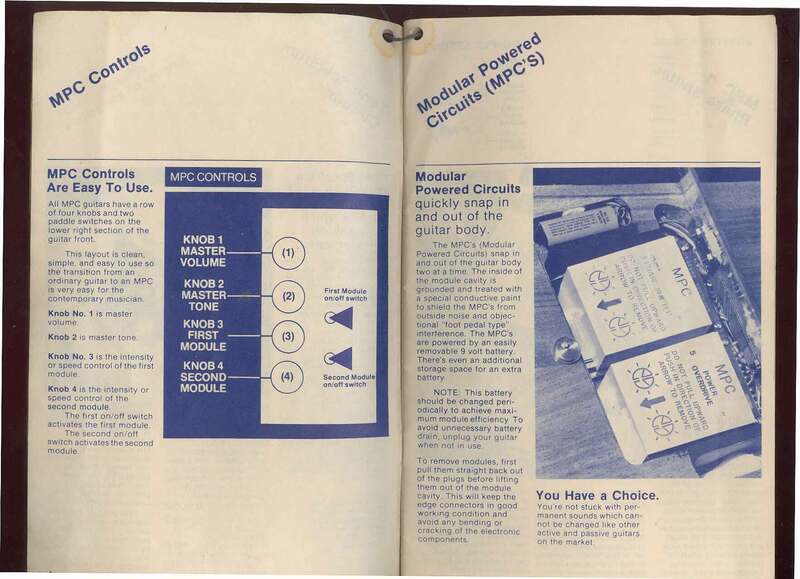 The MPC models remained, as well as a handful of LP style models. 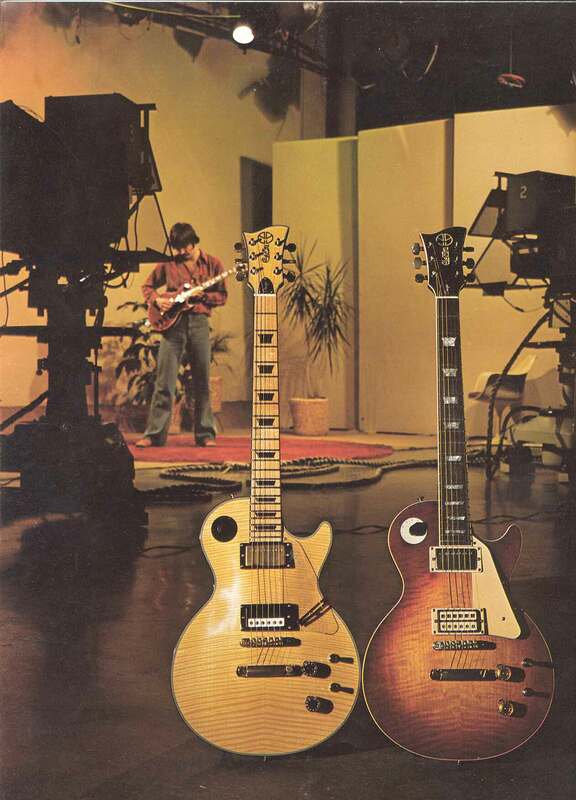 Although this pricelist is much more modest than the color glossy photos of 1977 and 1972, it represents at present the best picture we have of the Electra models of this time- all made by Matsumoku at the height of their craft, and without exception all fine instruments. 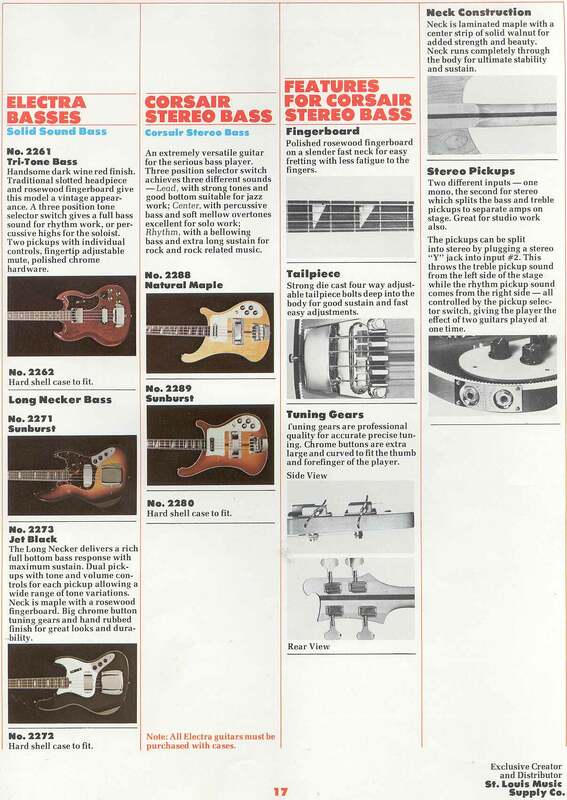 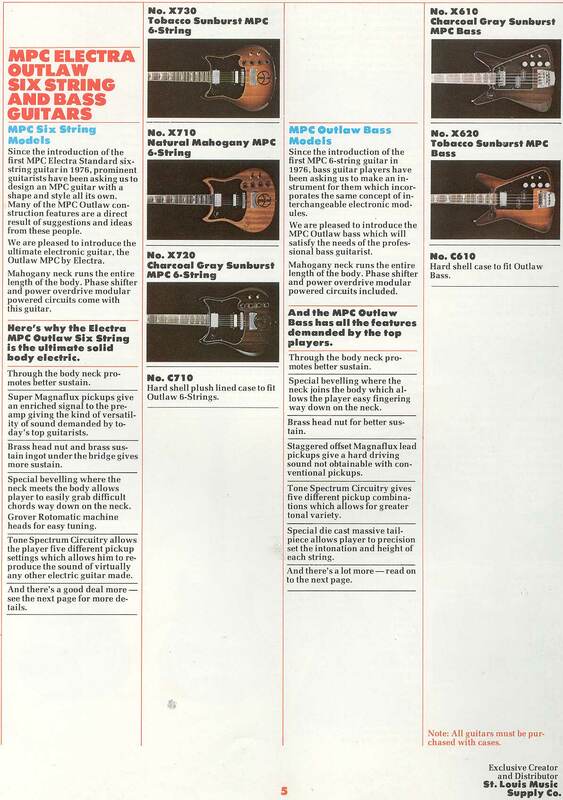 Note the wrong image above listed with the X150- an X650 Phoenix bass is shown instead of the laminated stripe body X150- perhaps an error, or perhaps a substitute when production images were not yet available? 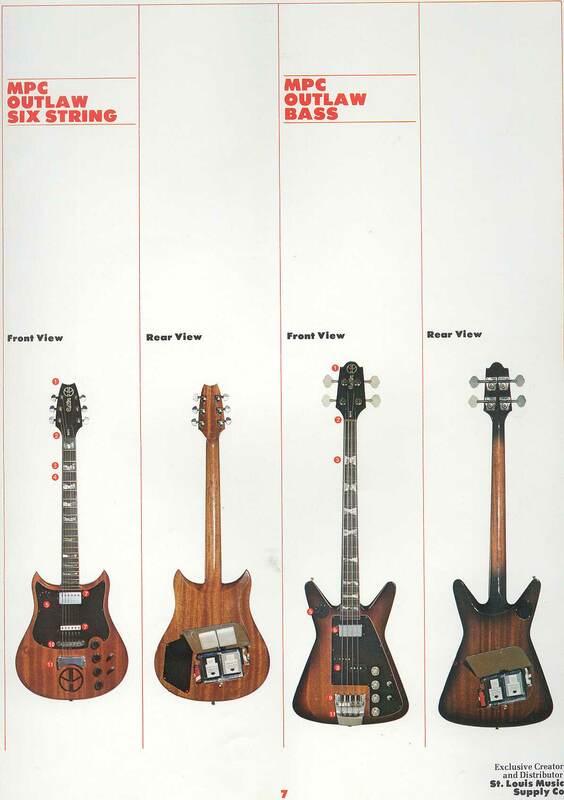 Set neck natural maple body with carved oak leaves on top, 'Tree of Life' inlay on maple fretboard, silver hardware and double Magnaflux humbuckers, stop tailpiece. 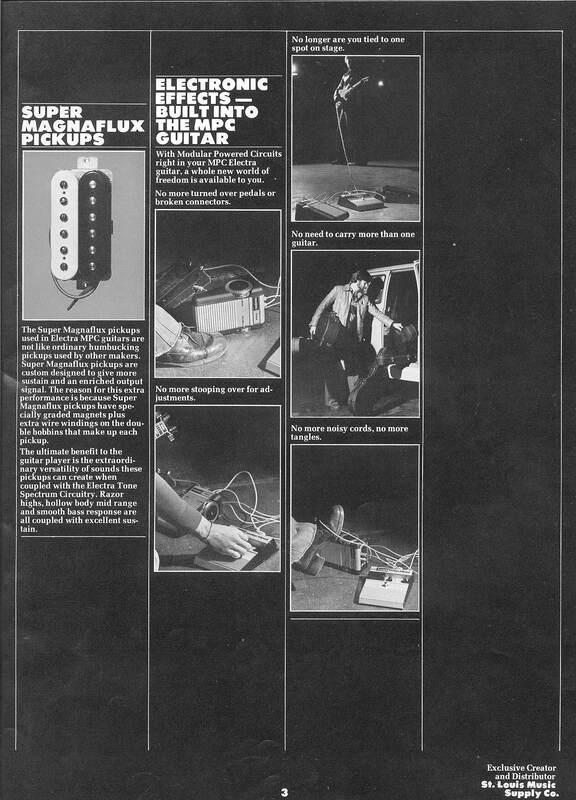 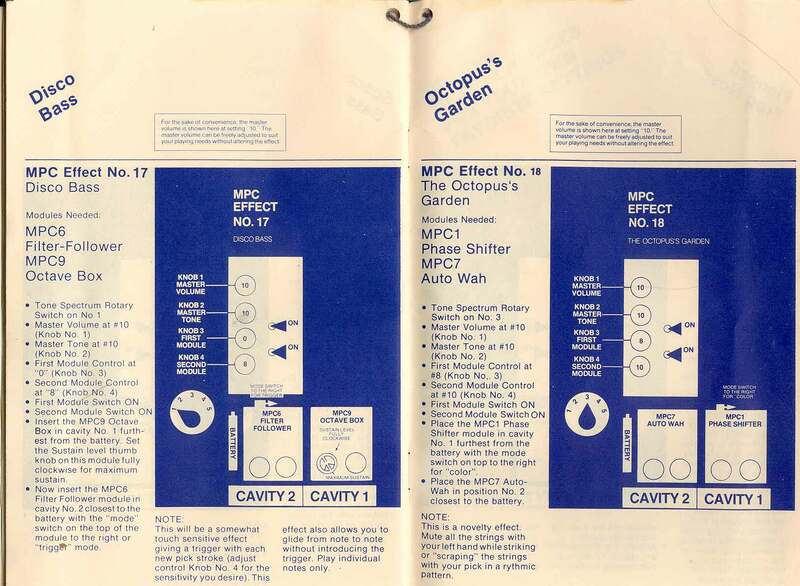 This has got to be one of the coolest bits of gadget literature ever. 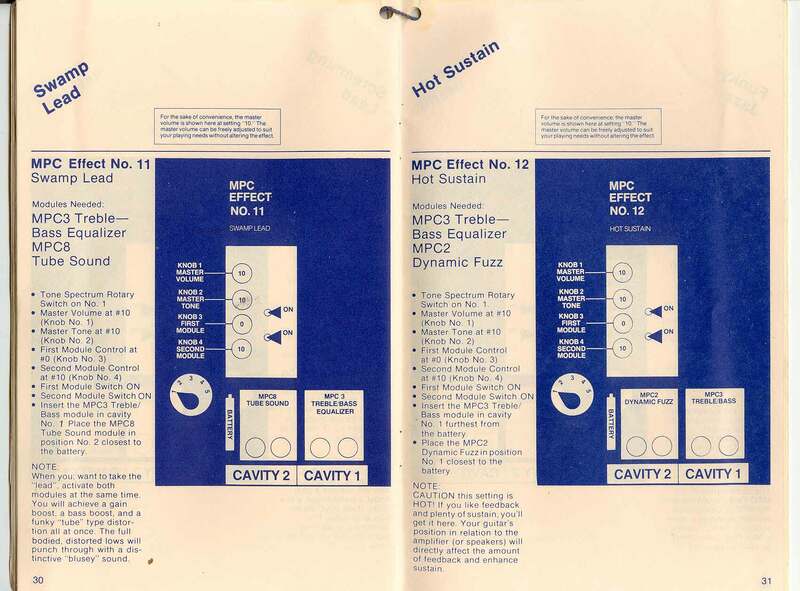 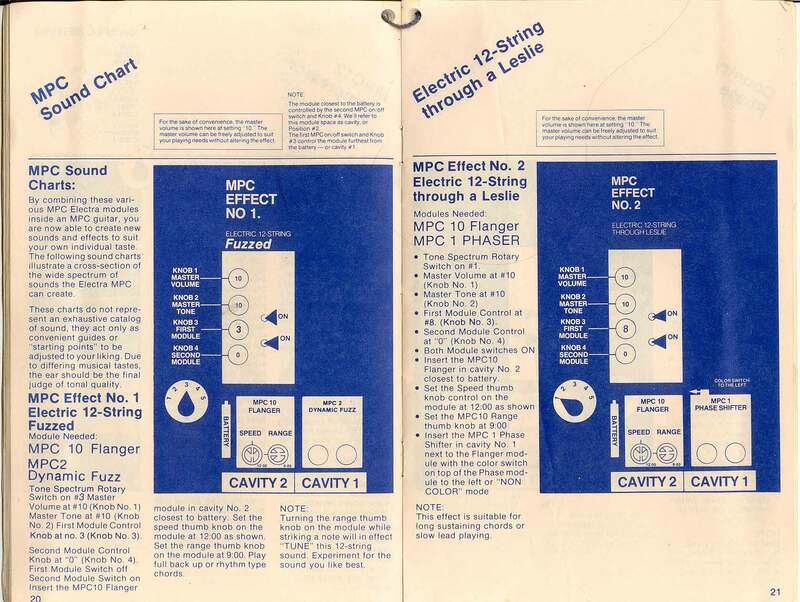 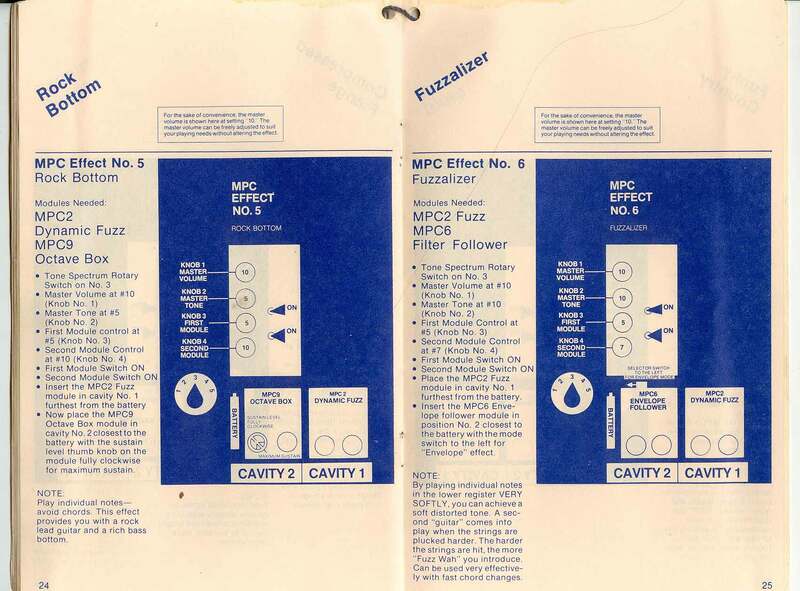 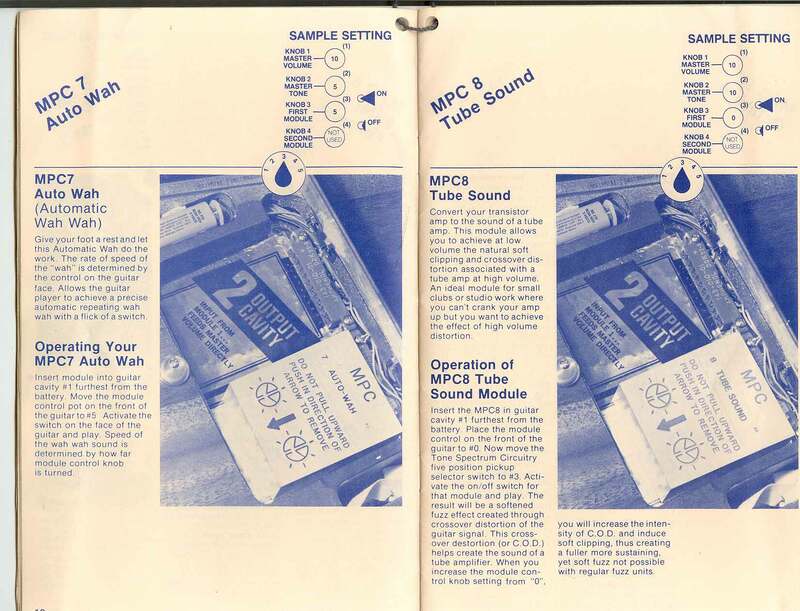 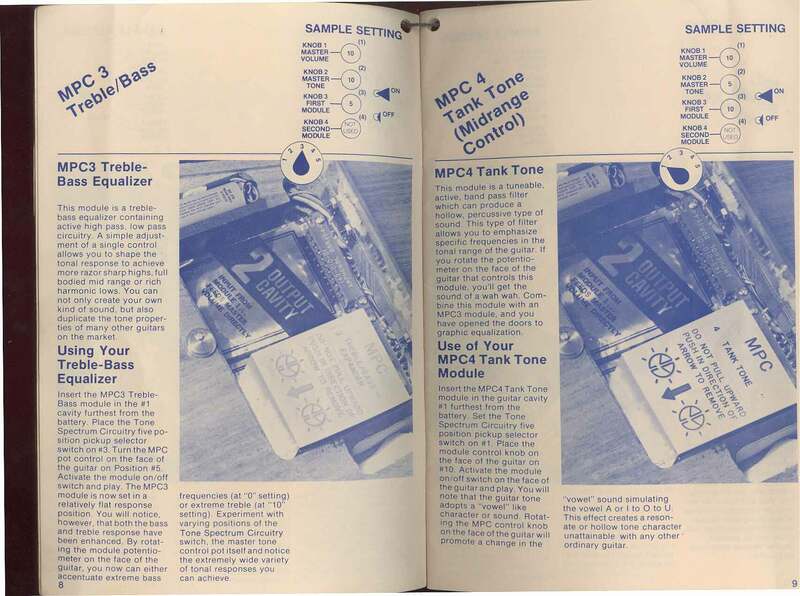 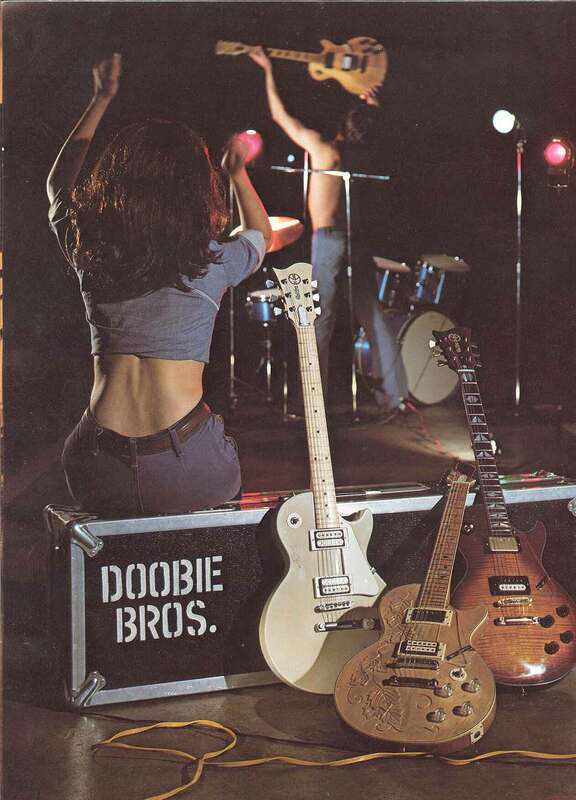 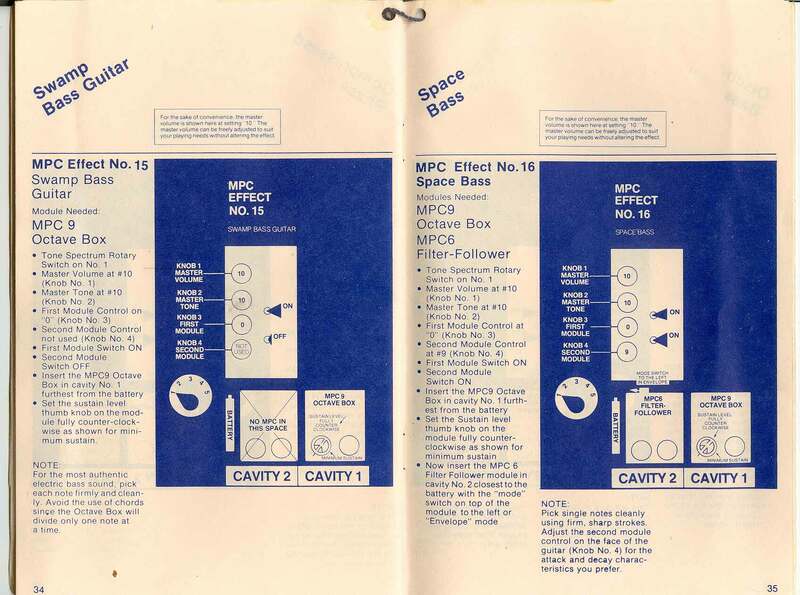 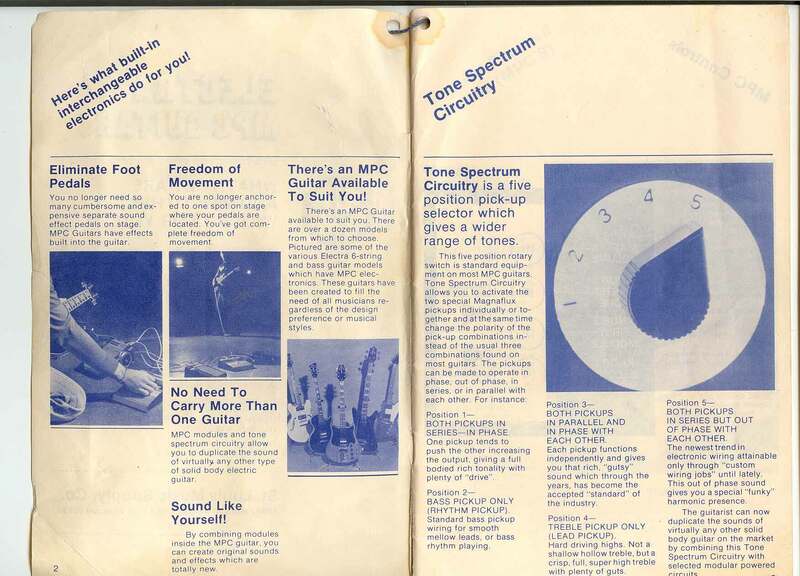 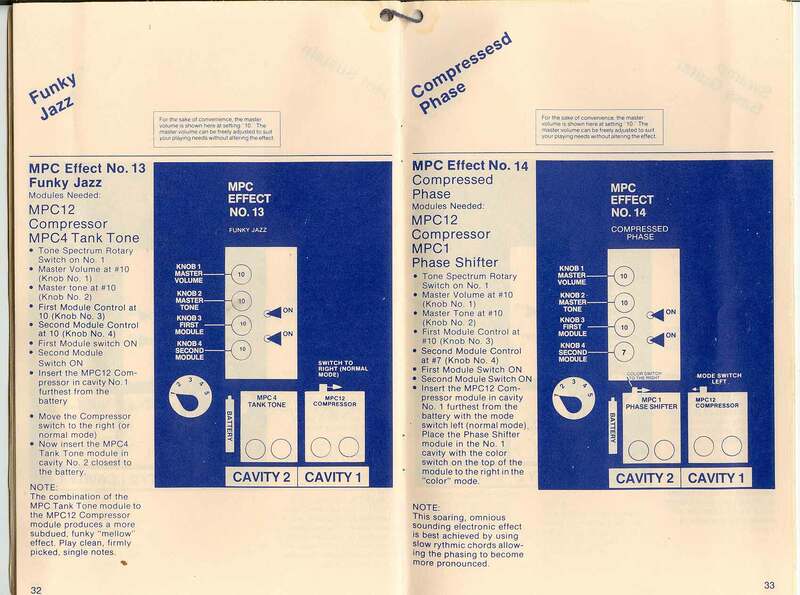 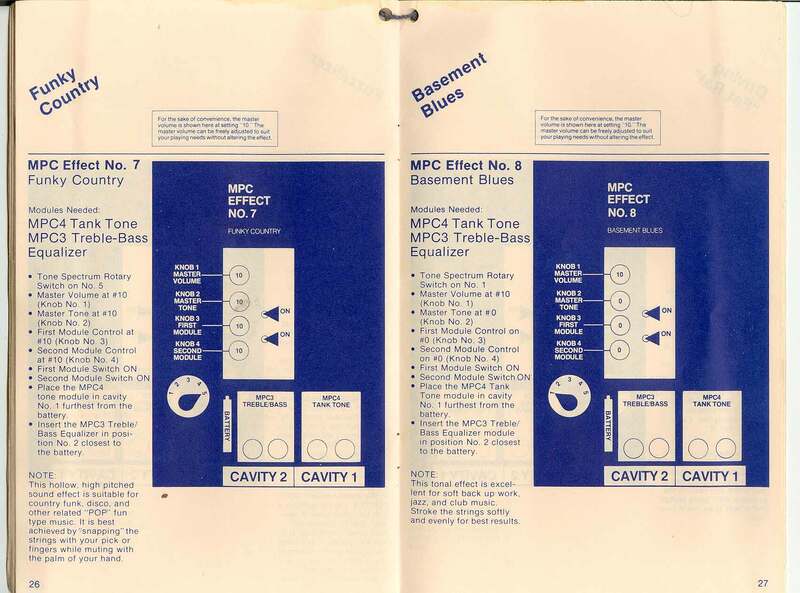 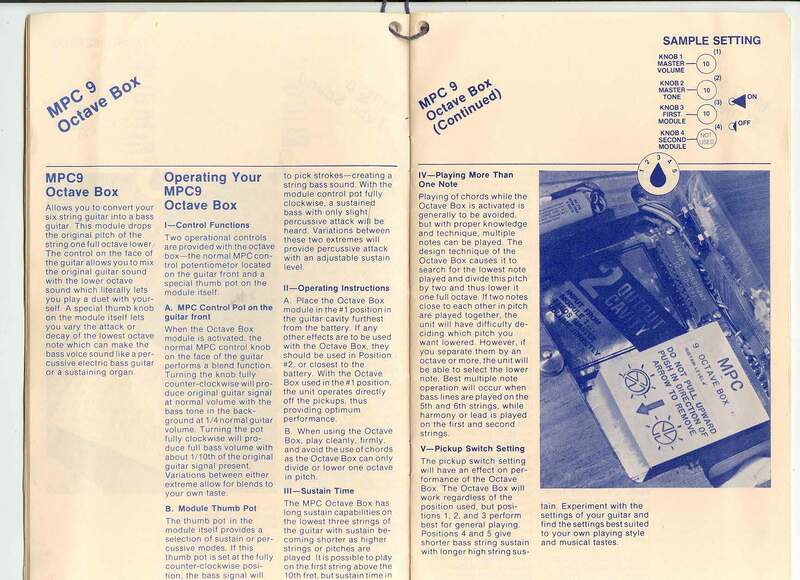 This booklet alone makes it totally worth it to own an MPC guitar. 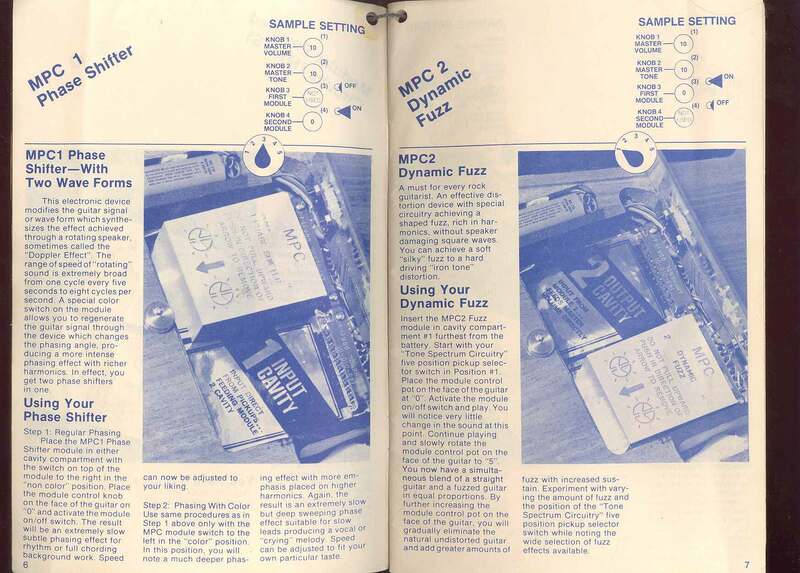 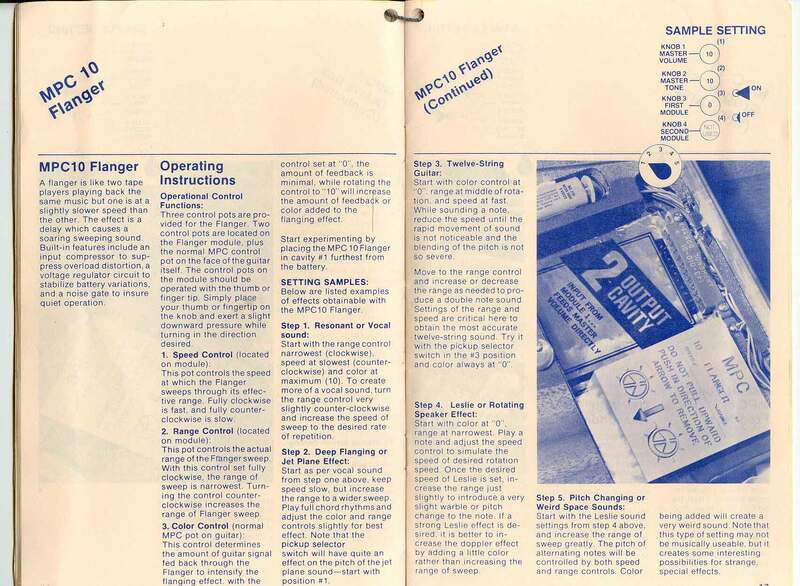 The cookbook of combinations and settings is great- remember the days before presets? 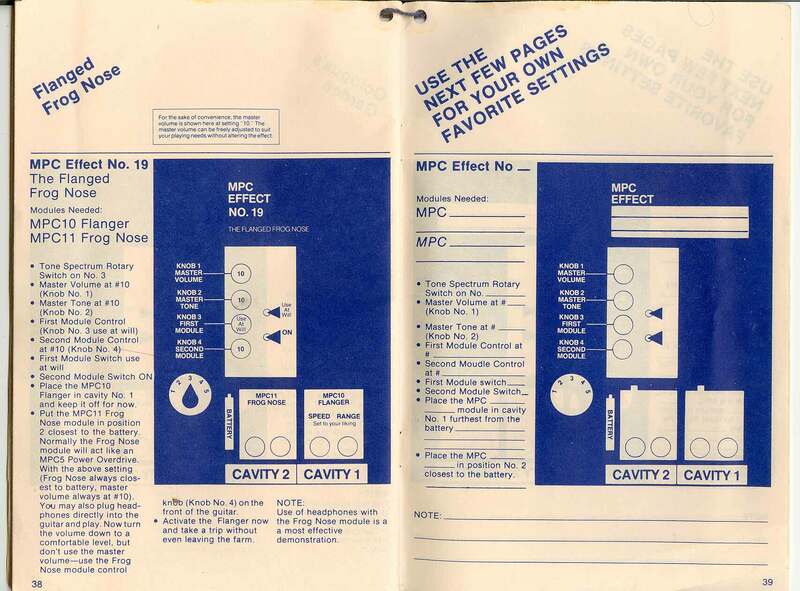 And the last few pages you can print out and write up your own favorite MPC cocktail recipes. 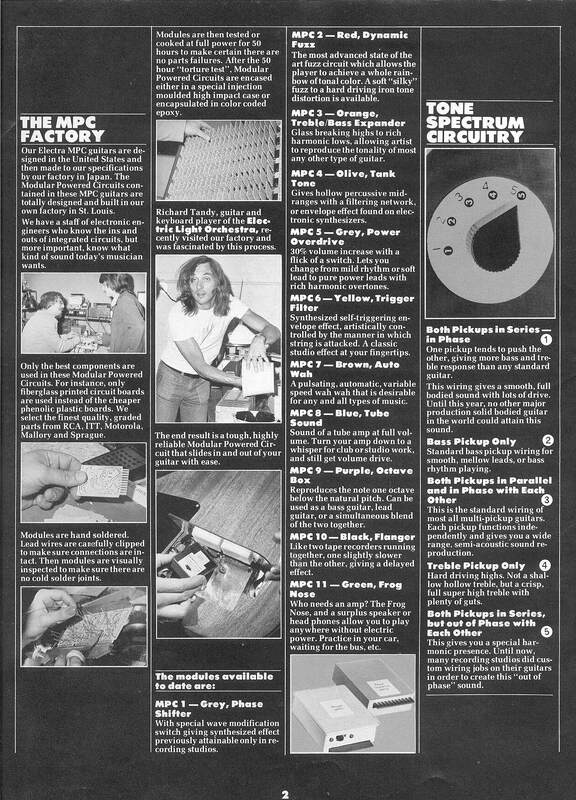 Remember to click on the images to view larger (legible) images. 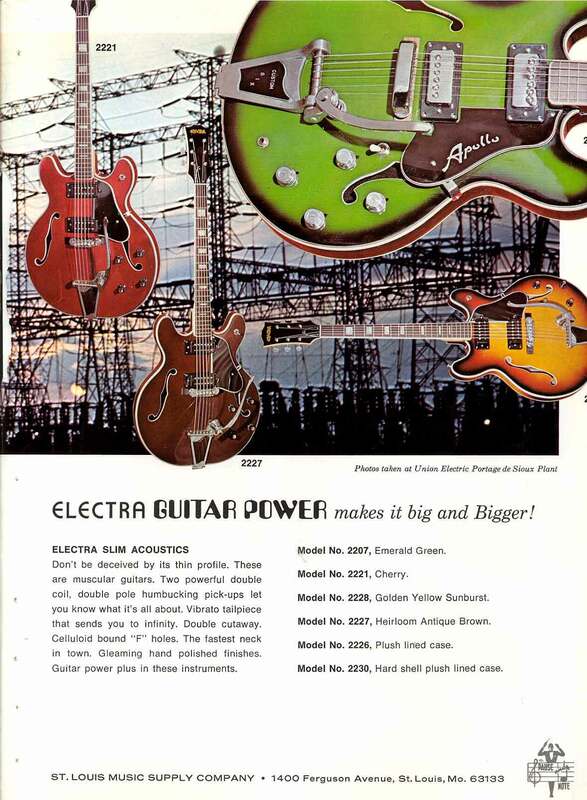 Much in-depth information on mid-seventies Electras, when thr transition had begun away from 'lawsuit' copies and toward original designs. 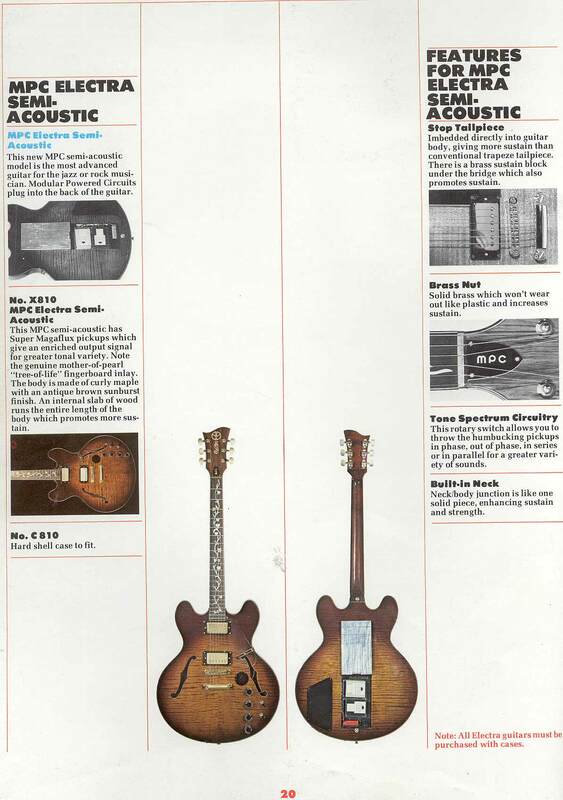 This catalog includes both. 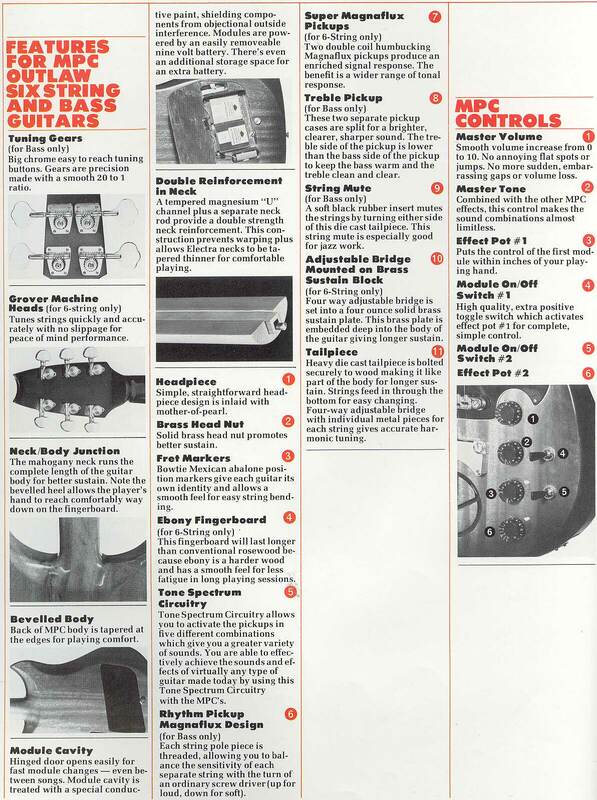 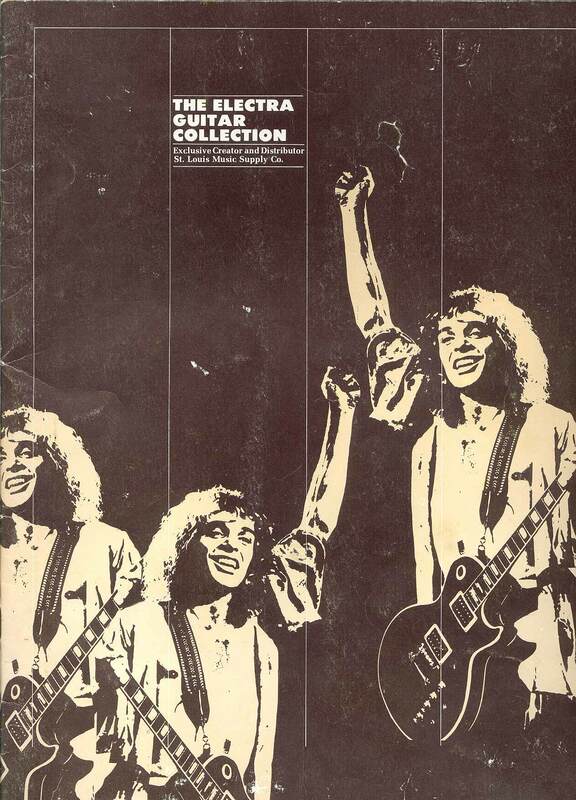 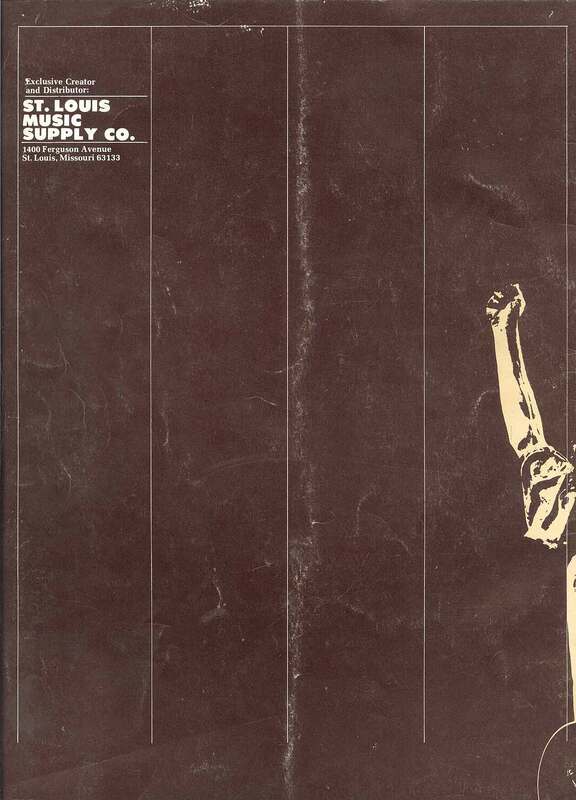 Credit and thanks to Leia for providing this essential catalog scan. 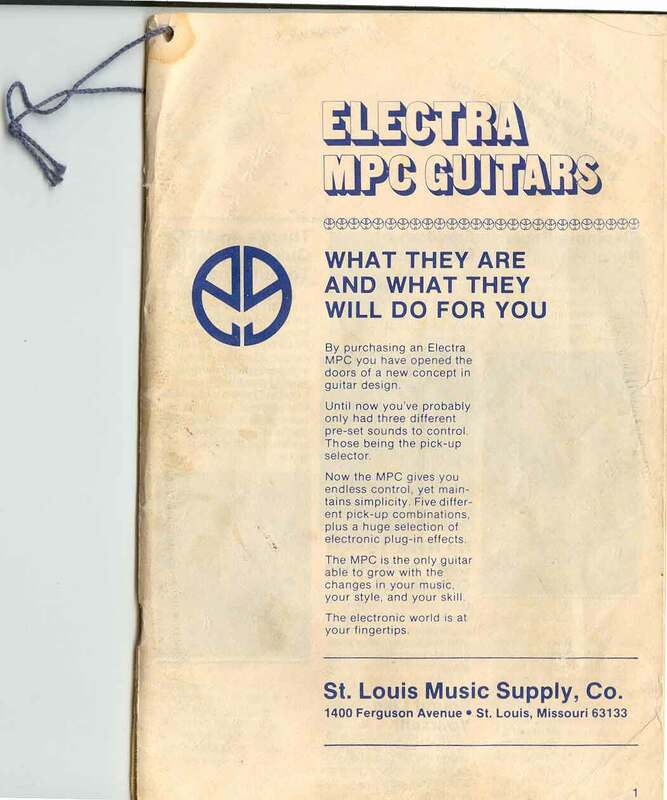 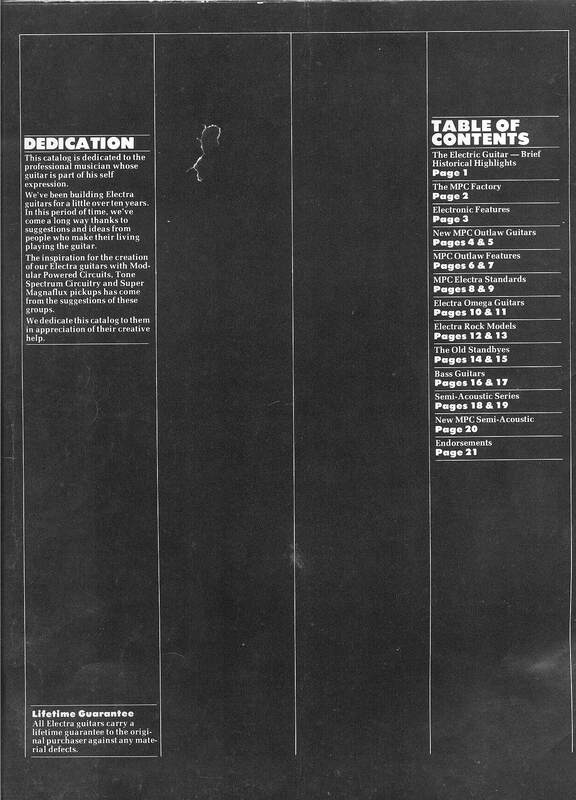 This is the earliest known Electra catalog and source for Electra model numbers, published by Saint Louis music in 1972. 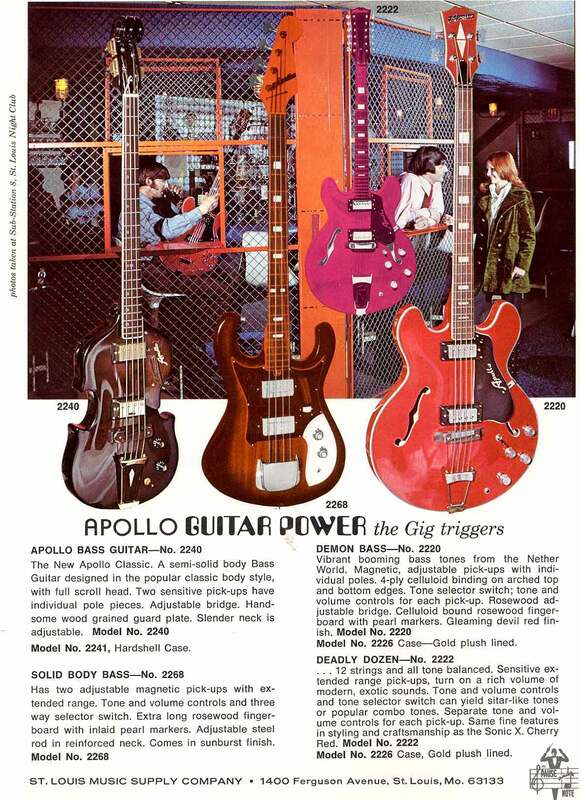 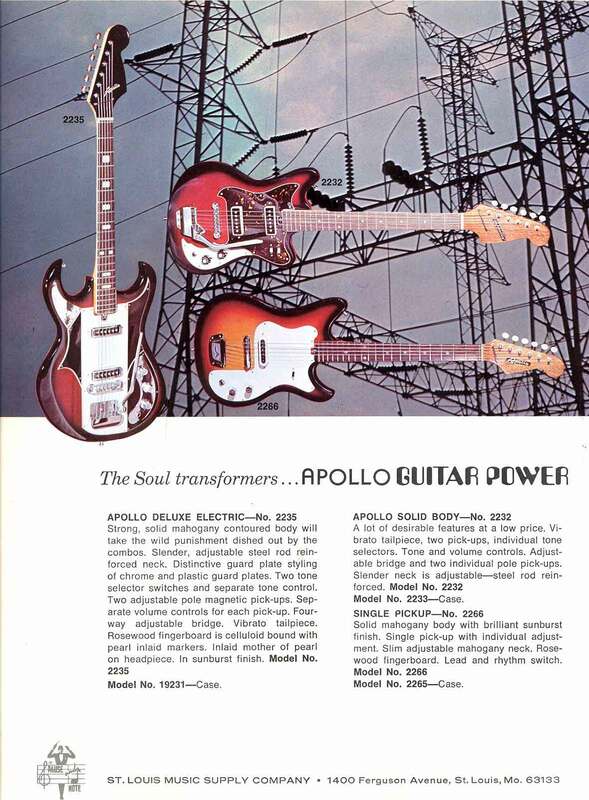 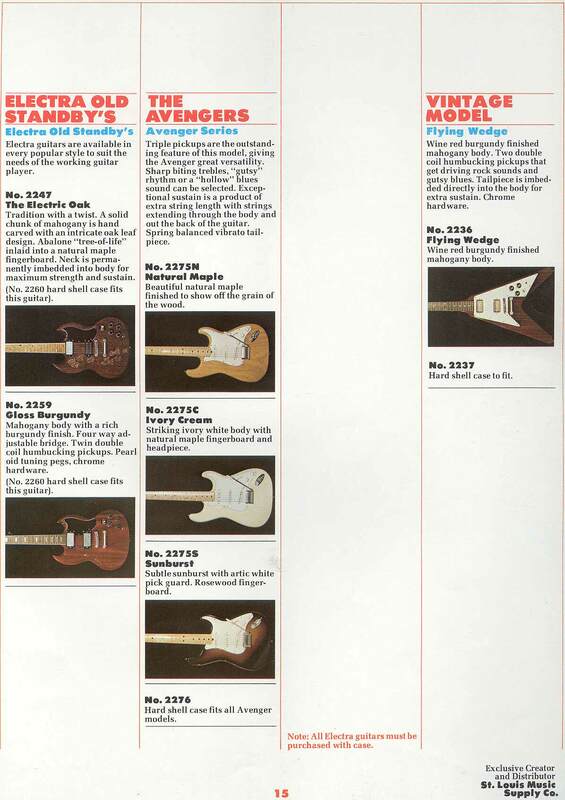 Also included are Apollo guitars, which were dreadful entry level with thin bodies and all the worst of early japanese guitars. 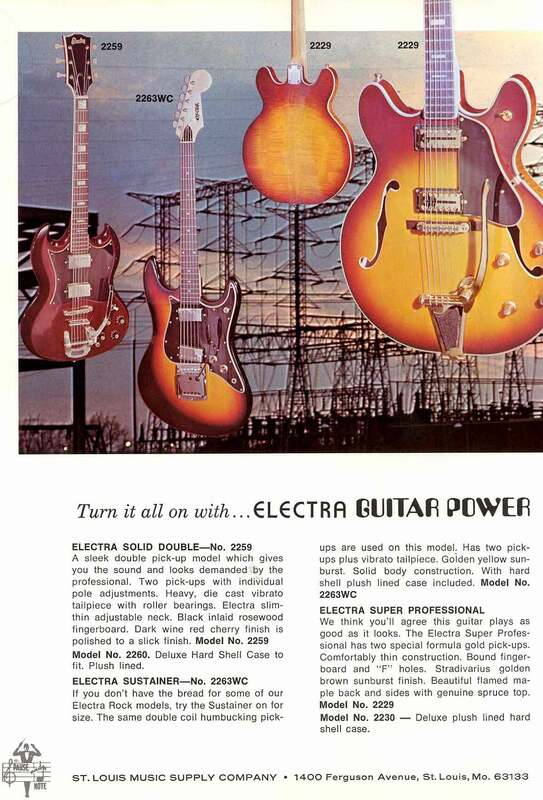 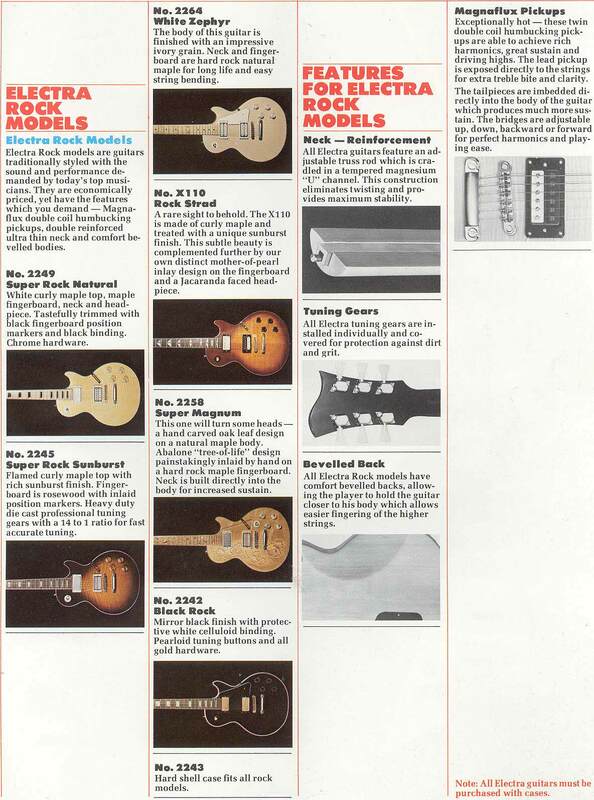 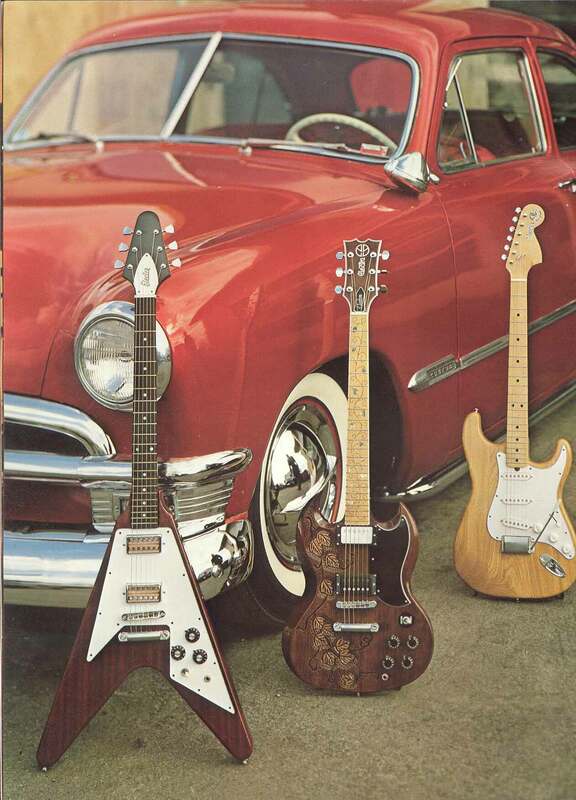 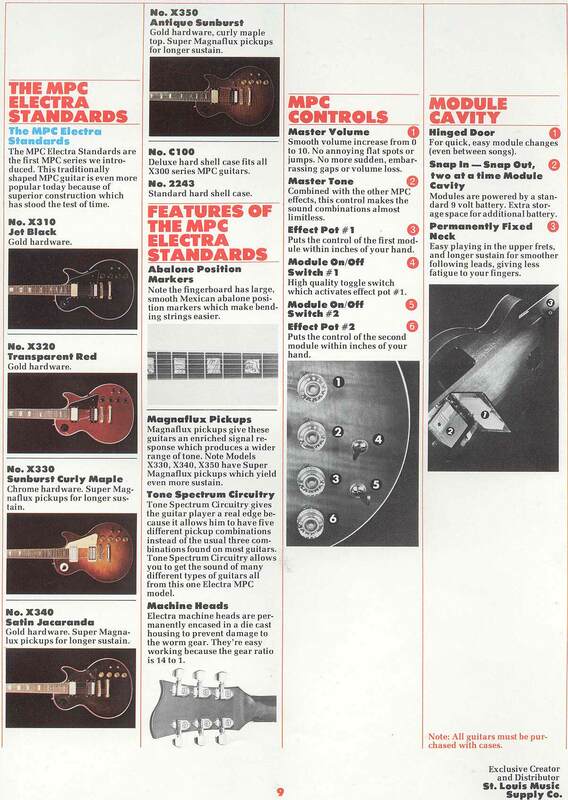 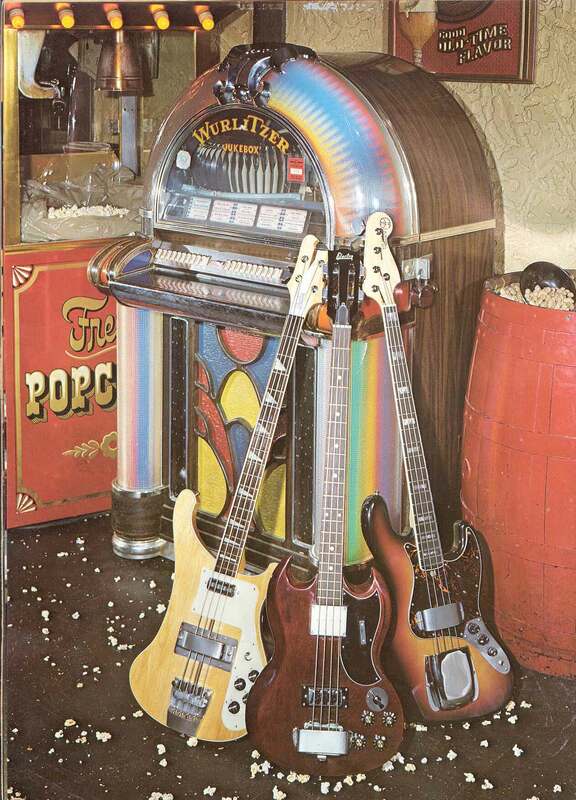 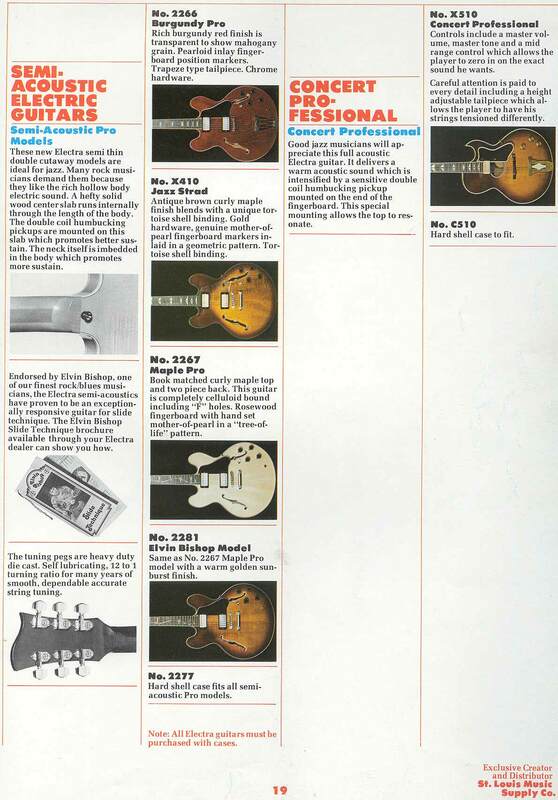 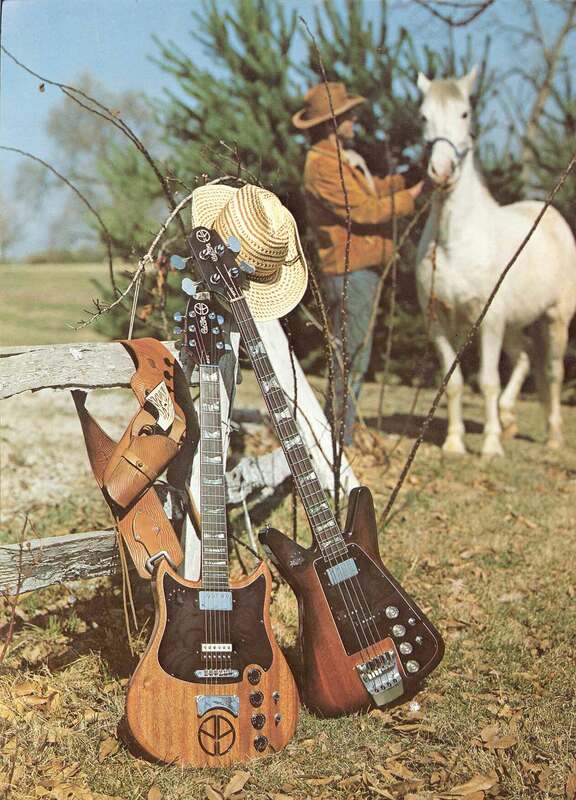 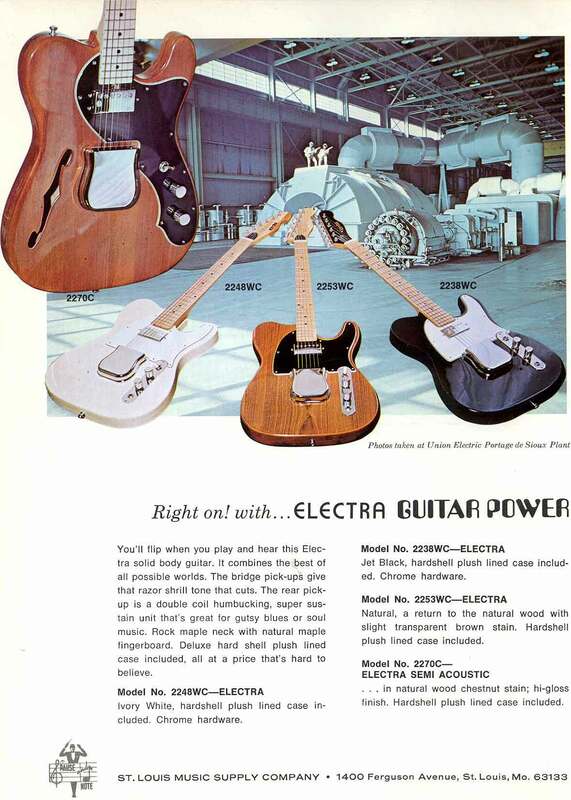 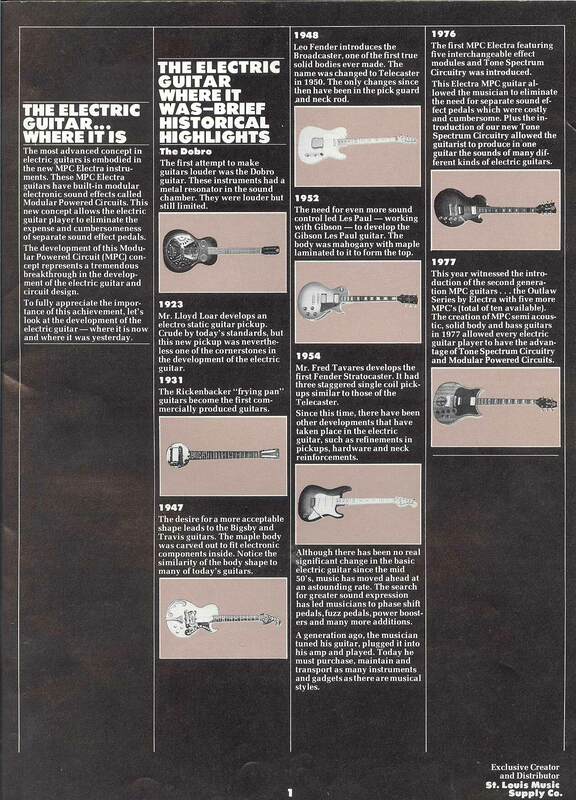 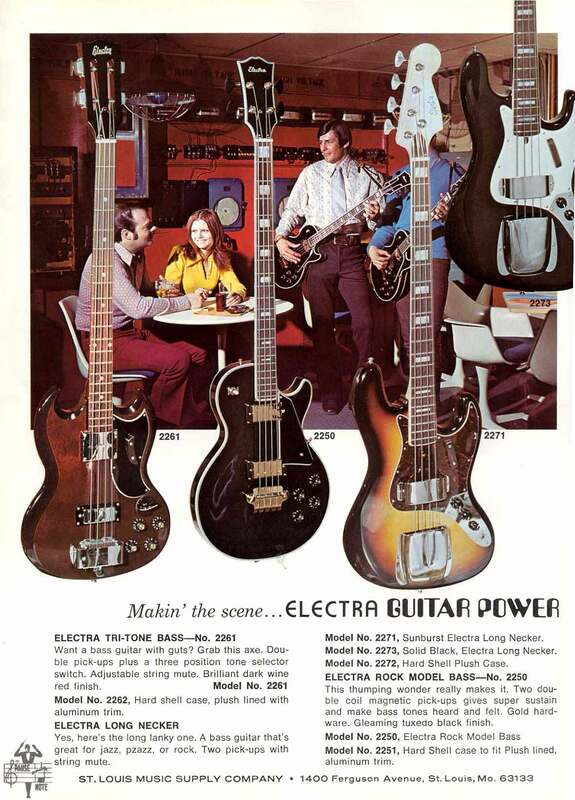 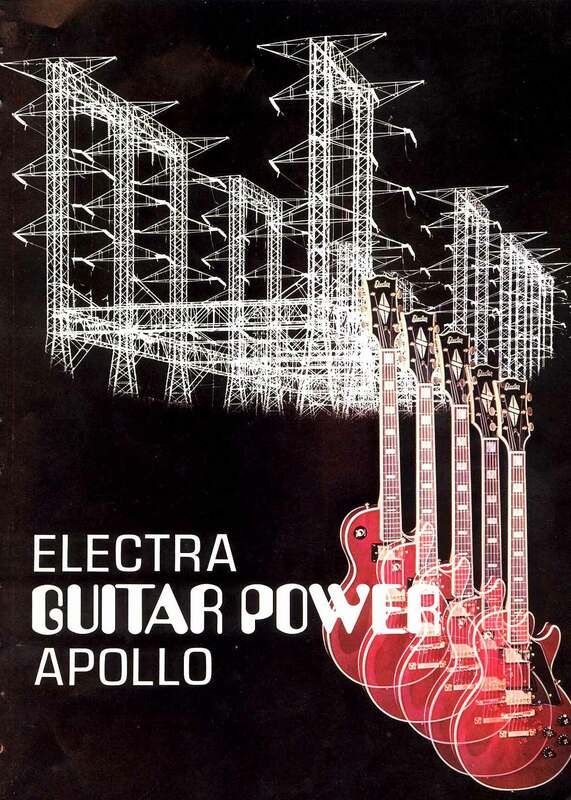 By contrast, Electra guitars were serious, professional instruments. 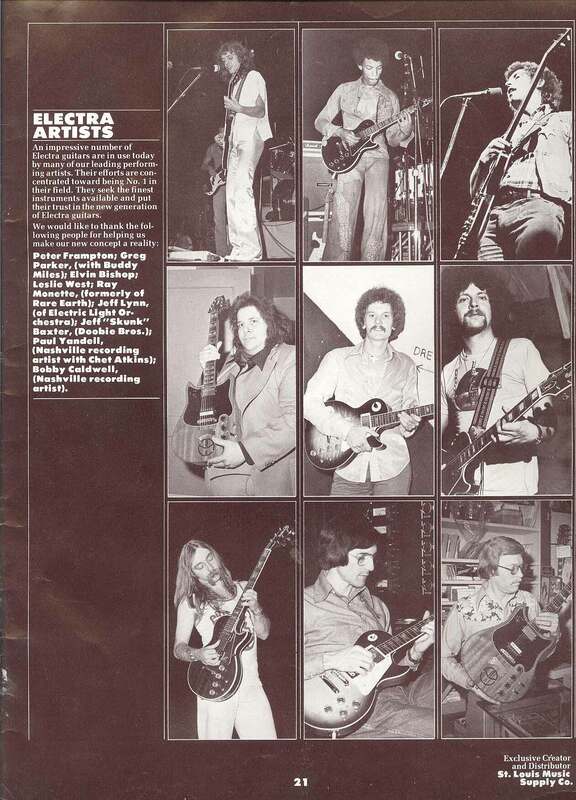 Be sure to click on the images, they're actually quite large. 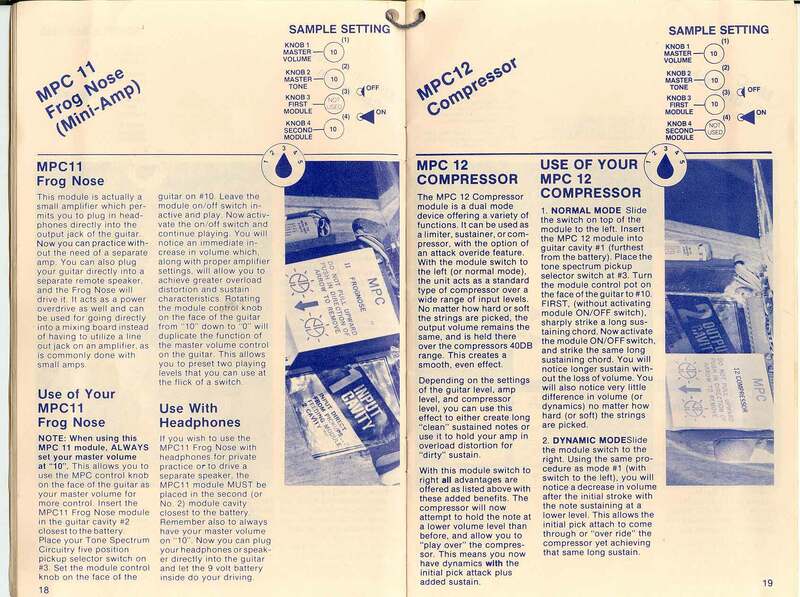 Credit and thanks to Leia for supplying these essential scans.